Nuance, the pioneer and leader in conversational AI innovations, provides intelligent systems that support a more natural and insightful approach to clinical documentation – freeing clinicians to spend more time caring for patients. 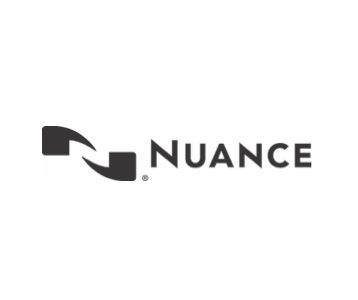 Nuance healthcare solutions capture, improve and communicate 300 million patient stories each year, helping 500,000 clinicians in 10,000 global healthcare organizations to drive meaningful clinical and financial outcomes. Nuance’s award-winning clinical speech recognition, medical transcription, virtual assistants, CAPD, CDI, coding, quality and medical imaging solutions provide a more complete and accurate view of patient care.